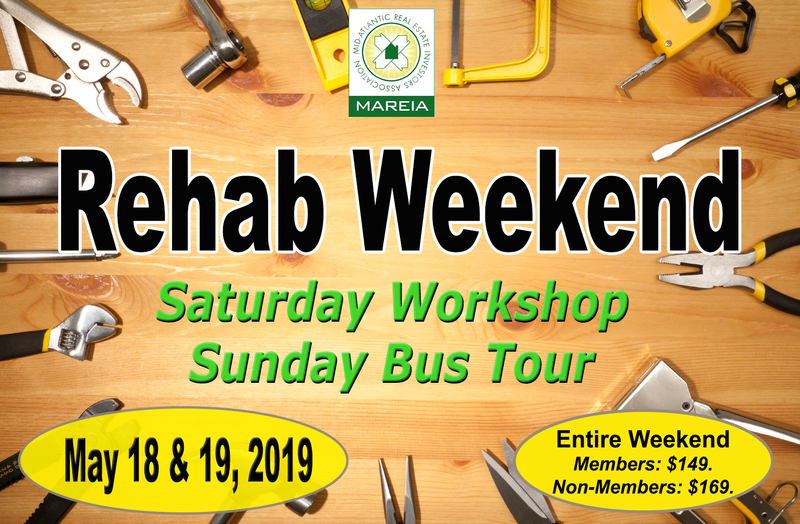 Join us for a jam-packed weekend of education, networking and live real-world on-site training at properties in various stages of rehab. Learn all the things you need to know about becoming a successful rehabber from seasoned professionals. These experts will also share the mistakes they've made along the way and the lessons they've learned from them. Wholesalers - You'll pick up more and better deals if you understand what goes into a rehab project and how to estimate repairs. Landlords - Even if you buy turnkey properties, you need to know how to judge the condition of your units. Learn when to repair, when to replace and what it really costs. Rehabbers - Talk to a local, licensed General Contractor (GC), see what your colleagues are doing and get to ask the questions that could save you thousands of dollars on each project. ENTIRE WEEKEND: Members: $149. / Non-Members: $169.